Hello! Welcome to the Day 2 of Taylored Expressions October Sneak Peeks! The Creative Team is continuing sneak peeks today. All products will be released on Thursday, October 1 @ 7 AM PST. This is one of my favorite releases of the year as it is full of Christmas goodness! 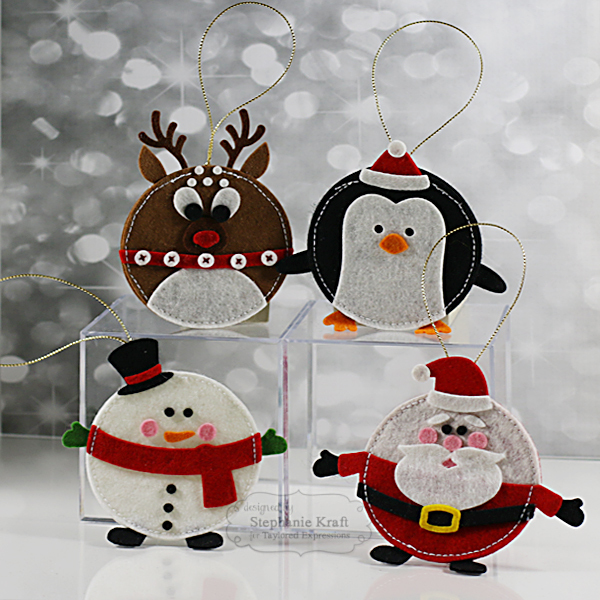 Today is my favorite day of release week as I've made some felt ornaments with the new Roly Poly dies. These characters were just too cute, so I made a couple of each one. They are 3" round. 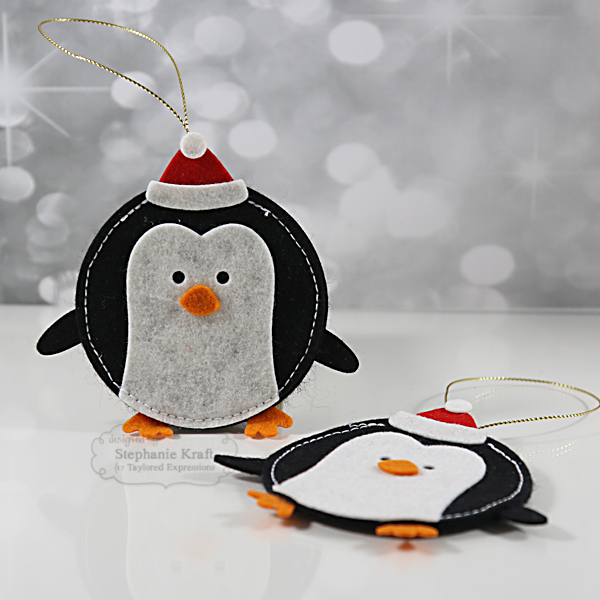 They are the perfect size to make a tag, add to a card, embellish a scrapbook page, or as ornaments as I've made. The circular base of each was created using the new Stitched Circle Stacklets. Once I assembled each one, I added an additional felt circle to the back. This helps to make it sturdier and also to keep the tiny pieces together (feet, arms, hat, etc.). Finally, I stitched around for further reinforcement, to add a handmade detail and added some gold twine as the hanger. 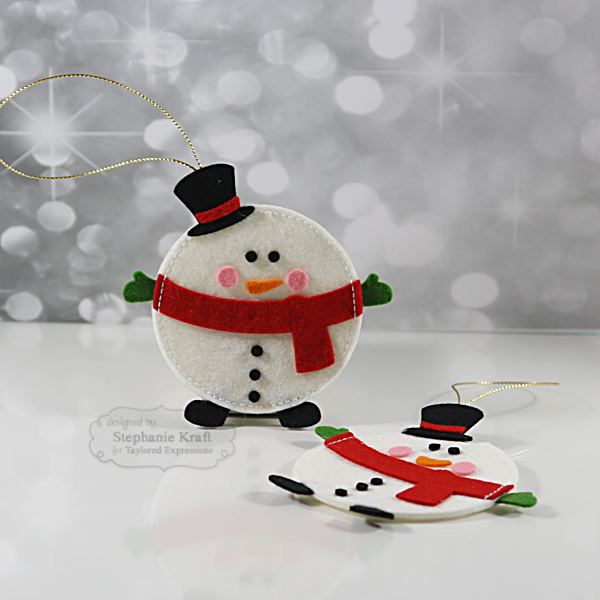 First up is Roly Poly Snowman. This one is Roly Poly Reindeer. Last, but not least is Roly Poly Santa. Products in BOLD will be available in the TE store on Thursday, 10/1/15 @ 7 AM PST! 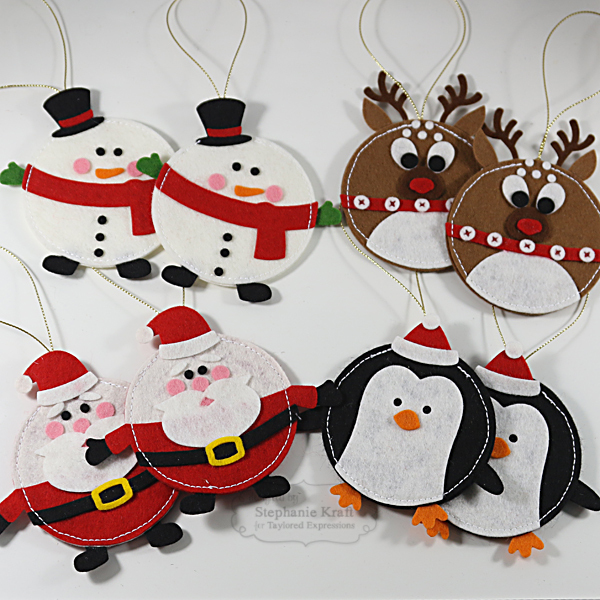 Accessories: Taylored Dies: Roly Poly Snowman, Roly Poly Penguin, Roly Poly Reindeer, Roly Poly Santa, Stitched Circle Stacklets; Felt: Red Hot, Cherry Blossom, Carrot, Sunflower, Grass Green, Espresso, Latte, Black Licorice, Cream Puff, Marshmallow (TE); Gold Twine, Thread, Sewing machine. 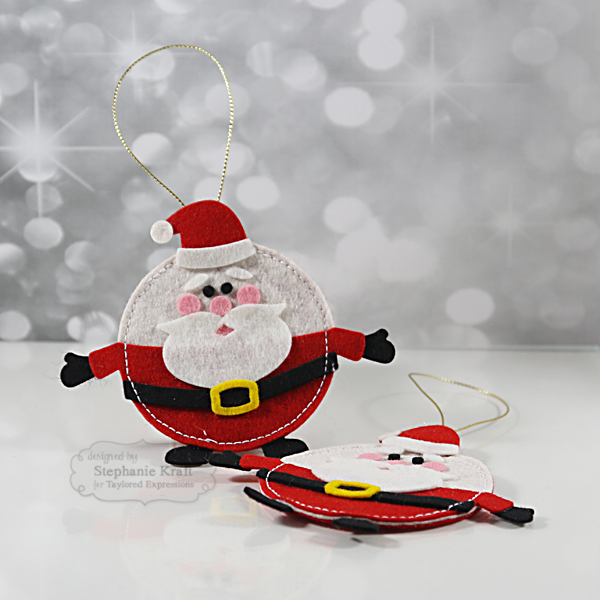 Love, love, love your fabulous ornaments, Stephanie!!!! A real labor of love, for sure!!!! 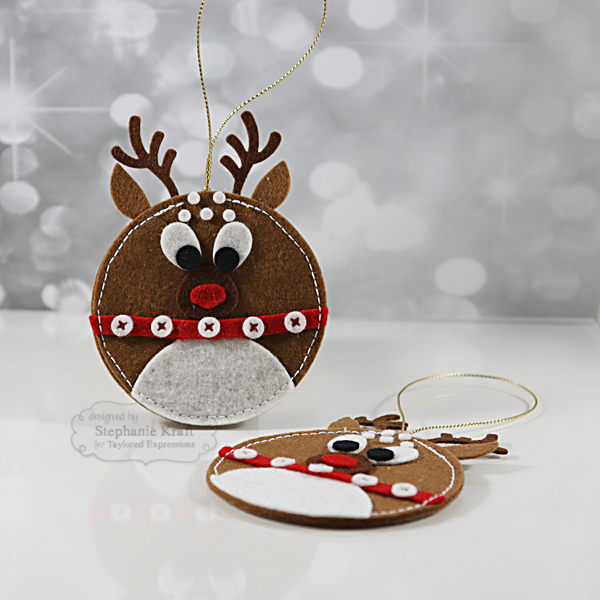 These are absolutely adorable, Steph!!! Love these little guy! So cute! The tags are SO cute. Almost a gift by themselves! when I saw these... I wanted to quit doing my cards and go make one! lol I only have the snowman. Fabulous sewing/felt designing Stephanie! I LOVE these! I love that they are timeless and can be kept from year to year and displayed. TFS!